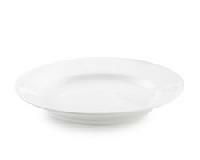 24 cm : 1000 ml. 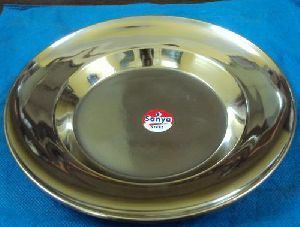 16 cm : 250 ml. 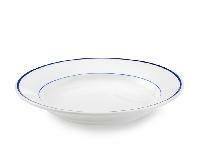 20 cm : 650 ml. 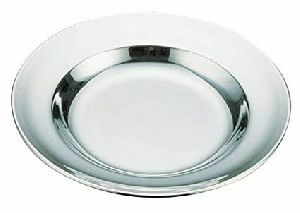 We offer a wide gamut of Soup Plates that may be available in different sizes like 14, 16, 18, 20cm etc. 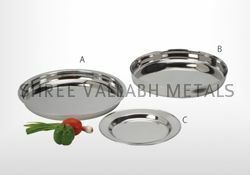 We also manufacture plates according to the specifications given by the clients. 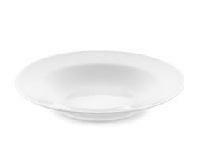 Our soup plates are available at the minimum market price. Item Code: PT - 036 Size: A - 18 cm, B - 20 cm, C - 22 cm, D - 24 cm. 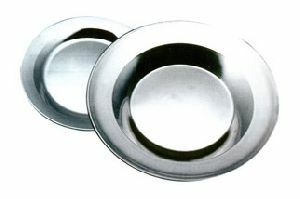 We offer the best quality stainless steel soup plate . 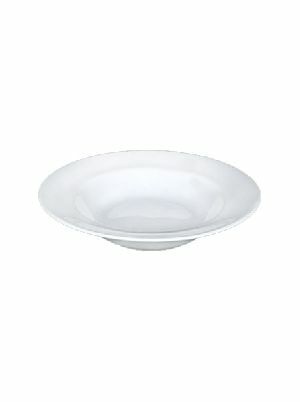 Our soup plate is very easy to use and is made from top class raw materials. 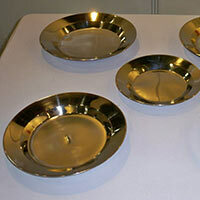 We design our utensils brilliantly so that it can be used conveniently. 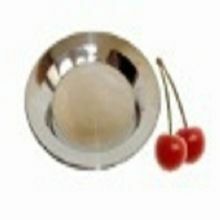 All our products are high on quality and are very durable. 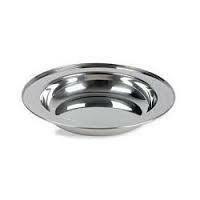 We are offering soup plate etc. 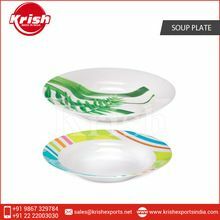 We are offering soup plate of sizes : 14 to 26 cms. 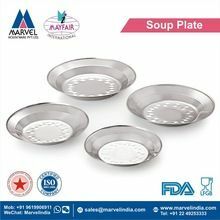 We specialize in offering to the clients stainless steel soup plates, which are aesthetically designed to suit the taste of the customers. 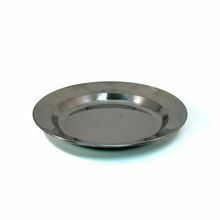 Fine finish, properly polished, light in weight and abrasion resistant best define the range of stainless steel soup plates offered by us. 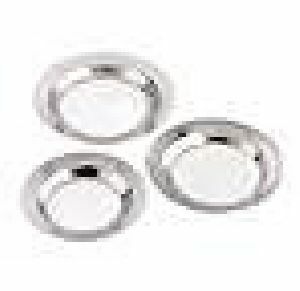 Clients can avail the same at most discounted rates and varied sizes. 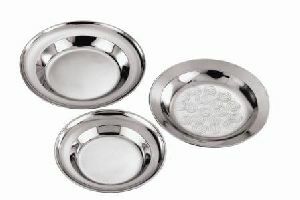 We are offering stainless steel soup plate. 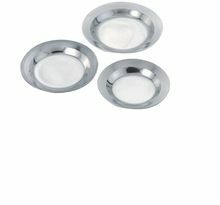 Serve salads, fruits and desserts in style, with our unique range of Polypropylene (PP) and High Impact Polystyrene (HIPS) disposable serving bowls. 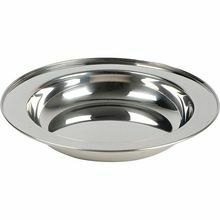 These find wide application as soup bowls, curry bowls or ice cream bowls. 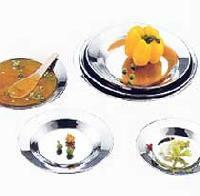 Popular in parties, cafeterias and take-away restaurants, their innovative designs make every dish more delightful! 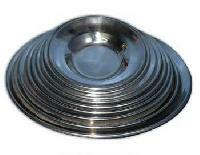 We hold expertise in offering quality Soup Bowl with Plate that is available in bowl of 14 cm and plate of 129 cm. 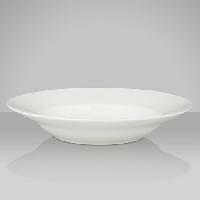 We offer Soup Bowl at most affordable price.